CITEC Bielefeld’s anthropomorphic robotic head known as FloBi has recently received an upgrade that comes with an affordable and simple motion-capture setup. 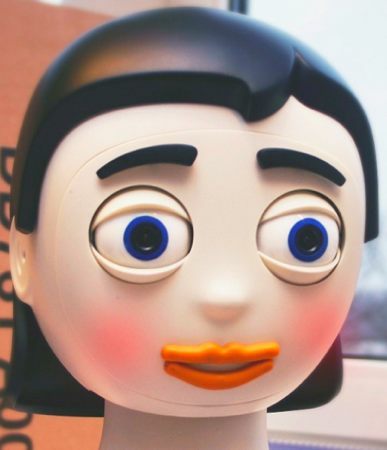 This expressive robotic head comes with modular parts so that you are able to insert different sections of the head in order to create a male or female robot. For the motion-capture setup, it comprises a helmet with a single camera that is pointed at your face. Capable of tracking your eyes, eyelids, brows, and mouth thanks to the clever use of color markers while an X-IMU (internal measurement unit) detects overall head rotation, this recorded motion can be viewed using a virtual model as well, or to have it played back on the actual robot. This translates to the entire gamut of motions being recorded in a jiffy from an actual person, and you get lifelike and realistic eye movements on the robot’s face. There is still plenty of work that needs to be done, especially where lip-synching is concerned.For more information watch video below.